Visual Communications (VC), the nation’s premier Asian Pacific American media arts center, announced its outstanding program of films and events for the upcoming 34th edition of the Los Angeles Asian Pacific Film Festival (LAAPFF) running May 3 to 12. The all encompassing annual film celebration is presented across Los Angeles in West Hollywood, Downtown LA, Little Tokyo, the Arts District, Koreatown, and Hollywood. VC proudly celebrates 34 years of Southern California’s largest and most prestigious film festival of its kind. LAAPFF launches the celebration of Asian Pacific Heritage Month through this year’s slate of over 100 films from both Asian Pacific American and Asian international artists. For over three decades, the festival has presented nearly 5,000 films by Asian Pacific American and Asian International talent. This year, 39 feature films and 79 shorts from the over 800 submissions will be showcased during the 10-day fest. 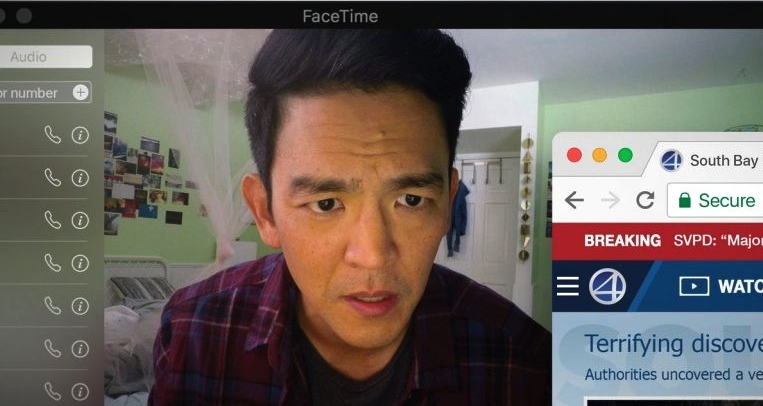 The festival opens with the Los Angeles premiere of the award winning feature “Searching,” starring John Cho and Debra Messing. The film, which will hit theaters in August via Sony Screen Gems, gives audiences an early chance to see the movie that took the NEXT audience award and the Alfred P. Sloan award at the 2018 Sundance Film Festival. The film is directed and co-written by first-time feature filmmaker Aneesh Chaganty. “Searching” is a suspenseful and hyper-modern thriller about a desperate father searching for his missing teenage daughter. After an unsuccessful local investigation, David (Cho) decides to search the one place no one has looked yet – the Internet. Joseph Lee and Michelle La also star. This Opening Night film will screen on Thursday, May 3, at 7 p.m. at the Directors Guild of America in West Hollywood, and will be followed by a Q&A with the director and members of the cast and crew. A first for LAAPFF, the Centerpiece Films will feature two outstanding world premieres with ‘In the Life of Music” and “Fiction & Other Realities.” Both films are from Los Angeles-based filmmakers who share how music can craft identity and individuality, while serve as a guiding light in one’s path. “In the Life of Music” is the first Cambodian film to be presented as a Festival Centerpiece film. Co-directed by Caylee So (an LAAPFF alumnus and leader of the vibrant Long Beach Cambodian community) and Sok Visal, their film is a touching family drama on how music can tether a family almost eradicated by the Khmer Rouge regime. “Fiction & Other Realities” is inspired by stalwart Korean American musician Bobby Choy (a.k.a. 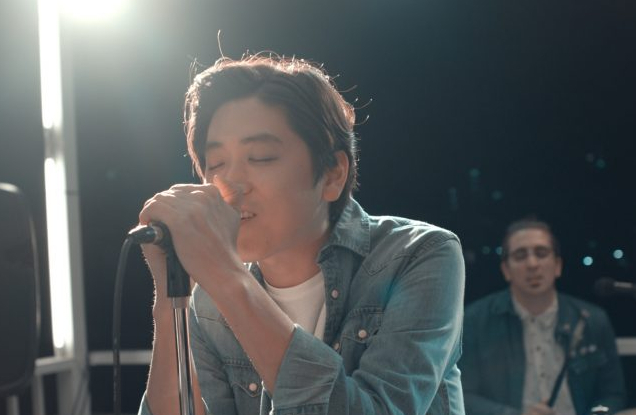 Big Phony)’s move to Seoul to focus on his music and realign with his roots. The film is a funny and poignant music-infused love story, reminiscent of “Once.” It is co-directed by Steve Lee and Choy, who also wrote the film and stars as the lead. Centerpiece Films will be presented on Saturday, May 5, at the Aratani Theatre at the Japanese American Community and Cultural Center (JACCC) in Little Tokyo. The Closing Night film is the Los Angeles premiere of the acclaimed 2018 Sundance World Documentary Special Jury Award winner “Matangi / Maya / M.I.A.,” directed by Stephen Loveridge. Inspired by her roots, M.I.A. created a mashup, cut-and-paste identity that pulled from every corner of her journey; a sonic sketchbook that blended Tamil politics, art school punk, hip-hop beats and the voice of multicultural youth. Never compromising, Maya Arulpragasm kept her camera rolling through her battles with the music industry and mainstream media as her success and fame grew. Loveridge draws from her 22-year cache of personal tapes and captures her remarkable journey from immigrant teenager in London to the international popstar M.I.A. “Matangi / Maya / M.I.A.” will be presented on Thursday, May 10, at the Aratani Theatre. Every year, the LAAPFF International Showcase highlights new films and filmmakers from around the world. This year is no different as the festival boasts acclaimed features from Cambodia, Canada, France, Germany, India, Japan, New Zealand, China, Philippines, Singapore, South Korea, Taiwan, Vietnam, and the U.K. 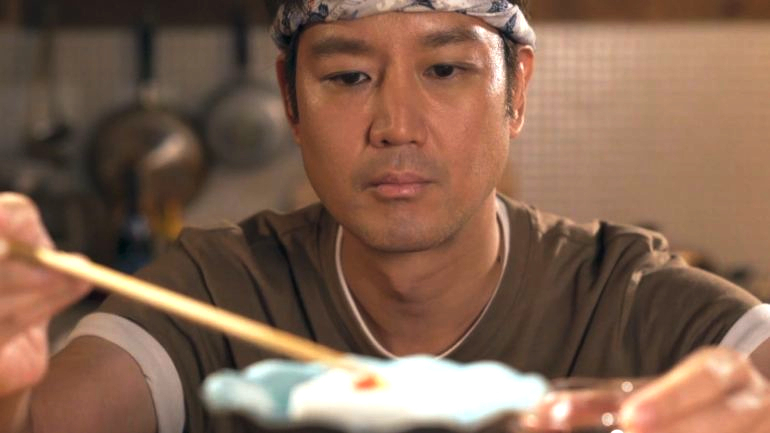 In “Jimami Tofu,” Ryan (Jason Chan) is an ambitious Singaporean chef working in Tokyo. When his food critic girlfriend Yuki (Mari Yamamoto) suddenly disappears, it leaves him reeling. In an effort to find her, he sets off to her hometown in Okinawa searching for clues. While Yuki is nowhere in sight, he discovers flavors beyond his imagination at her father’s restaurant. This love story is woven around the 100-year-old Okinawa Ryukyu dynastic cuisine that holds the life medicine their broken hearts need to mend. “Omotenashi” stars Edison Wang as Jacky, the young heir to a construction company in Taiwan. His father sends him to Kyoto to oversee the renovation of the beautiful yet obsolete Bright Moon Ryokan. Jacky is going in hopes to get back his ex-girlfriend Naoko and to sell the hotel. There, he meets the innkeeper Mitsuko and her daughter Rika. Unaware of his hidden agenda, the innkeeper is excited about the idea of turning the hotel into a wedding venue, and suggests that Jacky learns ‘omotenashi,’ the virtue of traditional Japanese hospitality, together with her daughter and her otaku helper. LAAPFF will present a Grand Jury Award for Outstanding Asian Pacific International documentary and narrative features. 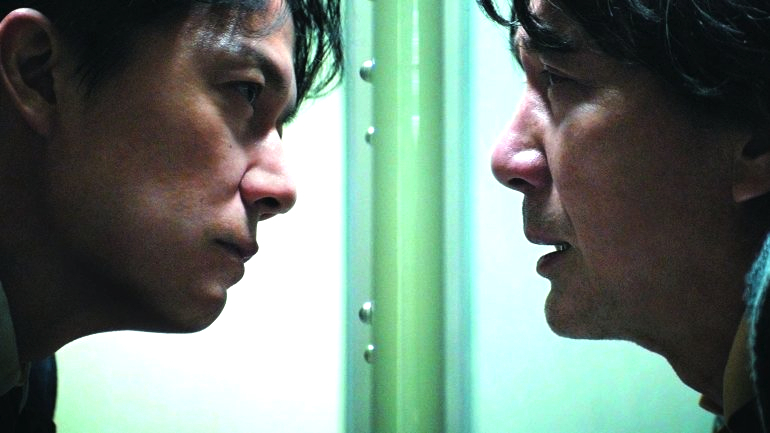 The lineup of films in competition includes “The Third Murder,” directed by Hirokazu Kore-eda. A top attorney takes on the defense of a murder suspect. His chances of winning are slim when his client admits his guilt, despite facing the death penalty. As he digs deeper into the case, the once confident attorney begins to doubt if his client is the murderer after all. Films from North America are eligible for the Grand Jury Award for Outstanding Asian American documentary and narrative features. These competition films include “August at Akiko’s,” directed by Christopher Makoto Yogi. Cosmopolitan musician Alex Zhang Hungtai (of Dirty Beaches) returns to Hawaii after many years away. While searching for his missing grandmother, he forms a bond with local elder Akiko, who teaches him to connect with the spirit of home he carries within him. “Our documentary selection this year continues to be a highlight of our festival as it features some of the best films and filmmakers from both the U.S. and abroad,” states David Magdael, festival co-director. “Award-winning films from Sundance, SXSW, Tribeca and other festivals are having their Los Angeles premieres at LAAPFF. These films bring us true-life stories and experiences that will stay with the viewer and perhaps even inspire action. LAAPFF is proud to be an Academy Award-qualifying festival for the Short Film Awards. Recipients of the festival’s qualifying awards will be eligible for consideration in the Animated Short Film/Live Action Short Film category of the Academy Awards without standard theatrical run, provided the film otherwise complies with the Academy rules. With over 60 eligible films, recipient(s) of LAAPFF’s Golden Reel Award for Narrative Short Film will be eligible for consideration. Additionally, the festival grants a Golden Reel Award for Excellence in Documentary Short Films. The sharing of experiences through film and media becomes increasingly important during these fast-changing times to ensure that our voices, images, and stories are heard and seen. LAAPFF is proud to present the following important special presentations that include discussions, films, performance art, and media installations that will encourage dialogue, reflection, and inspiration. Special Presentations include features from across the globe highlighting historical moments, food, and filmmakers that are pushing the boundaries to classic family films. These include “Proof of Loyalty: Kazuo Yamane and the Nisei Soldiers of Hawaii,” directed by Lucy Ostrander and Don Sellers. This film tells the story of Kazuo Yamane, a Japanese American who played a crucial strategic role in World War II. 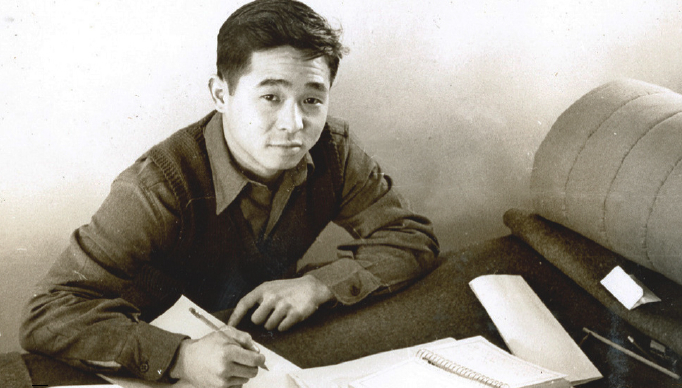 He and his fellow Nisei from Hawaii combated prejudice and discrimination to loyally serve their country, forming the most celebrated U.S. Army battalion. Their extraordinary service, mostly untold, ultimately changed the course of U.S. history. 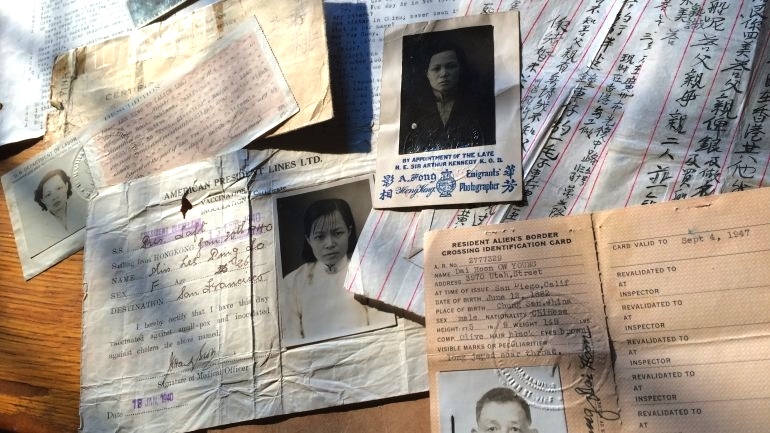 In “The Chinese Exclusion Act,” directors Ric Burns and Li-Shin Yu tackle a complicated yet under told story about a significant piece of U.S. history — the only legislation barring an entire group of immigrants based on ethnicity and race. As highlighted through first-person interviews and archival materials, this film serves as resistance against racism and the resilience of people that shaped the fabric of the U.S.
Also featured are “Prison Food” (directed by Johneric Concordia), “It’s a Party” (Weldon Wong Powers), “Find Your Voice” (Chris Herd), “Out of State” (Ciara Lacy), and “Kuleana” (Brian Kohne). For program information, a complete listing of sponsors and partners, and ticketing information, visit http://festival.vconline.org.